A face only a mother could love—that’s how you might describe Stellaluna, a sweet little fruit bat who stars in a book of the same name by Janell Cannon. 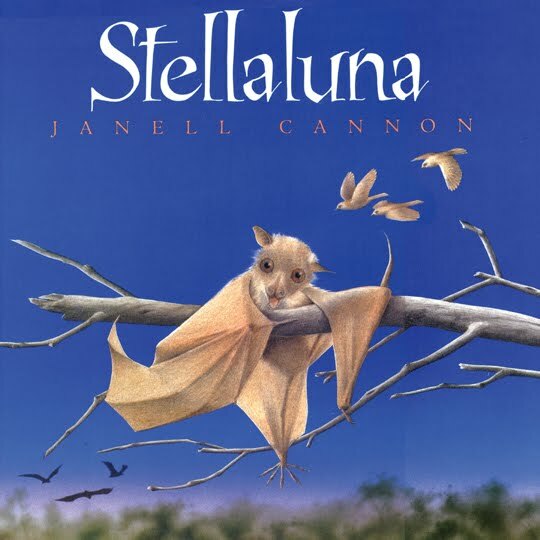 Perfect for children ages 4-8, Stellaluna is the story of a baby bat who becomes separated from her mother and is adopted by a family of birds. She tries her best to fit in around the nest, struggling against her batty inclinations. Ultimately, she discovers she’s unique and perfect just the way she is. A story of perseverance, friendship and love, Stellaluna is beautifully illustrated and features “Bat Notes”--an informative epilogue that turns your bedtime story into an impromptu science lesson.